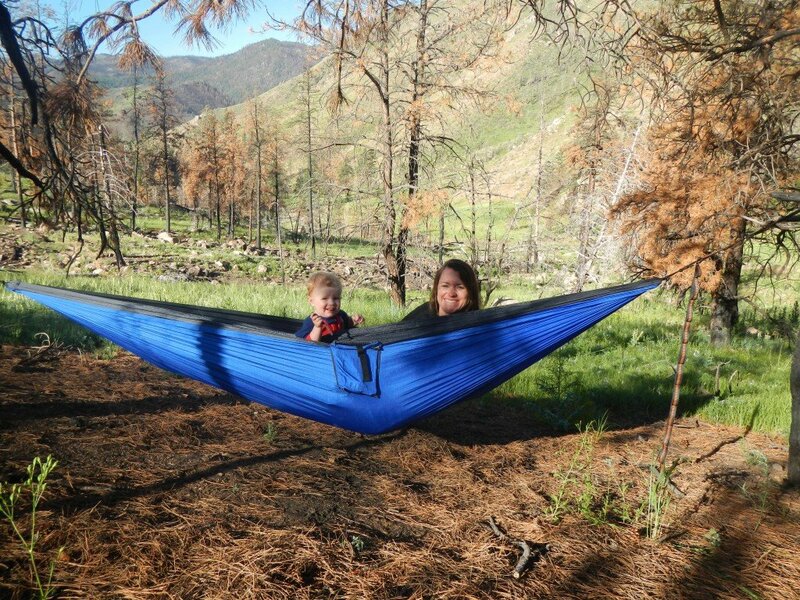 Simplify Your Summer with Family Hammock Camping! Easier said than done right? Trust me, I know. 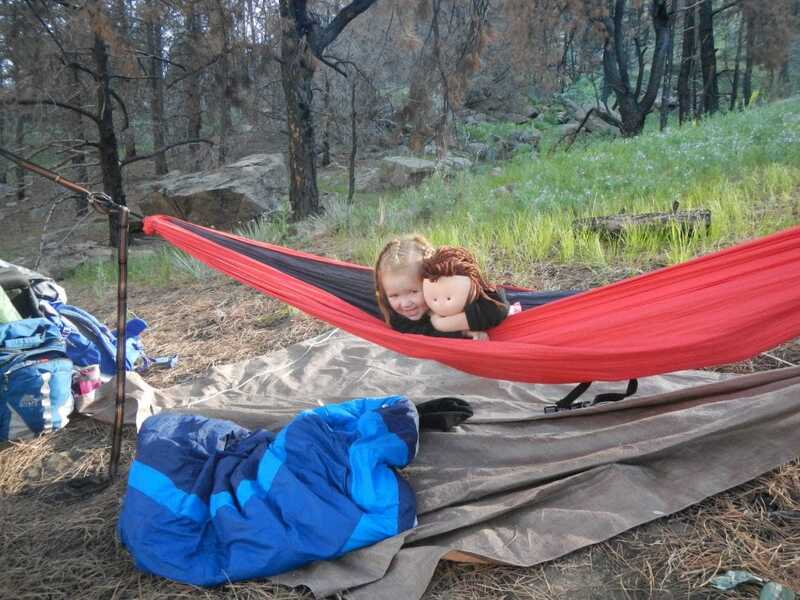 I have 3 kids 6 and under, and although we love to camp, it’s anything but simple. I’m always on the lookout for ways to make things go easier. We pre-cook most of our food, we strategically pack clothes, we pack a million baby wipes (those things are priceless). That being said, I’m a skeptic at heart. Could hammock camping possibly make my life simpler, or would it just make me want to get home as fast as I could? We put it to the test and were pleasantly surprised. The first thing that I noticed is that hammock camping is MUCH less gear intensive. Forget the monster tent, the pads, and that beloved air mattress and pump. A hammock and a tarp are all you need. Score #1 for simplicity. Next, setting up a hammock camp is a piece of cake, especially with the Atlas straps. Camp set up in under 2 minutes? Done! Score #2 for simplicity. , and jet airplane all rolled into one. Forget about bringing crafts, bring a hammock. Our kids can literally play in them for hours and they never get bored of it. Score #3 for simplicity. Can you see where I’m going with this? It’s easy. Really easy. -Put them close to the ground. Your kids probably will fall out at some point (or get pushed out by a sibling). Keeping them close to the ground keeps them safer and allows them to get in and out alone. -Make sure to bring a tarp. Rain + hammock camping are a bad combo – enough said! -Have fun! You’re sleeping in a hammock after all! 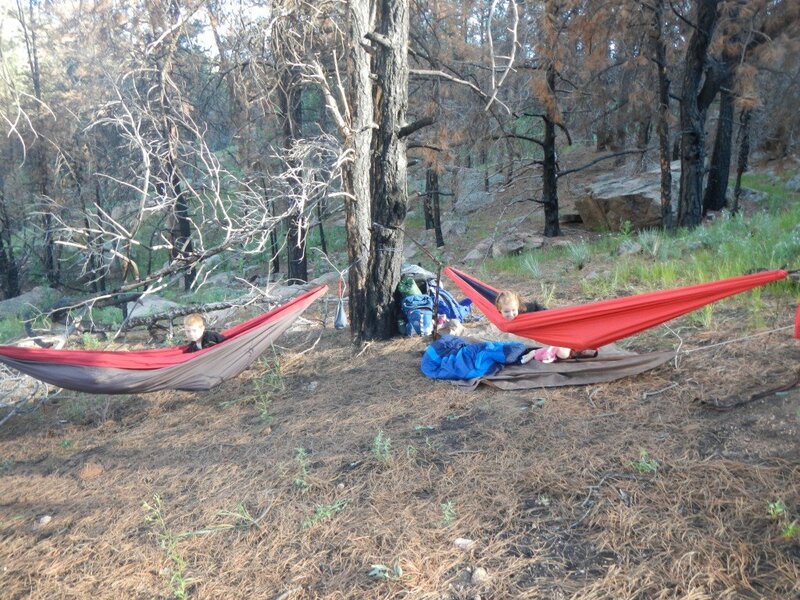 If you’re feeling ambitious, read about how we hammock backpacked together here. What are you waiting for? 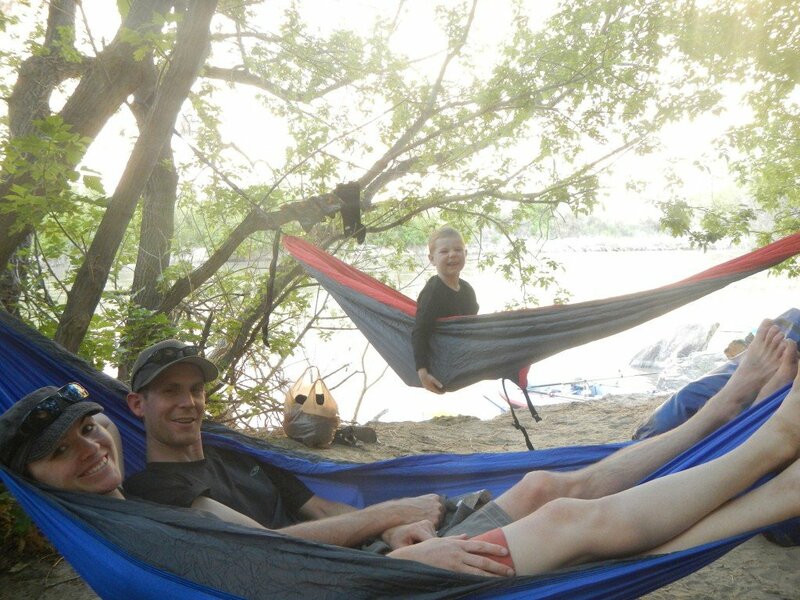 Simplify your life this summer and hammock camp with your family. Check out Bring the Kid’s review of our DoubleNest and Reactor Hammocks in their article “Top Backpacking Gear Picks for Families“!